Heat oil in skillet. Add onion, stir often until tender. Add potatoes, garlic, red pepper, cook 5 min. Add salt and water, heat to boiling over med heat. Cover, simmer over low heat 30 minutes until potatoes are tender. Add tomatoes (with its juice), heat to boiling. Cover and simmer 15 minutes. Add shrimp, heat to boiling. Cover and simmer 5 minutes. 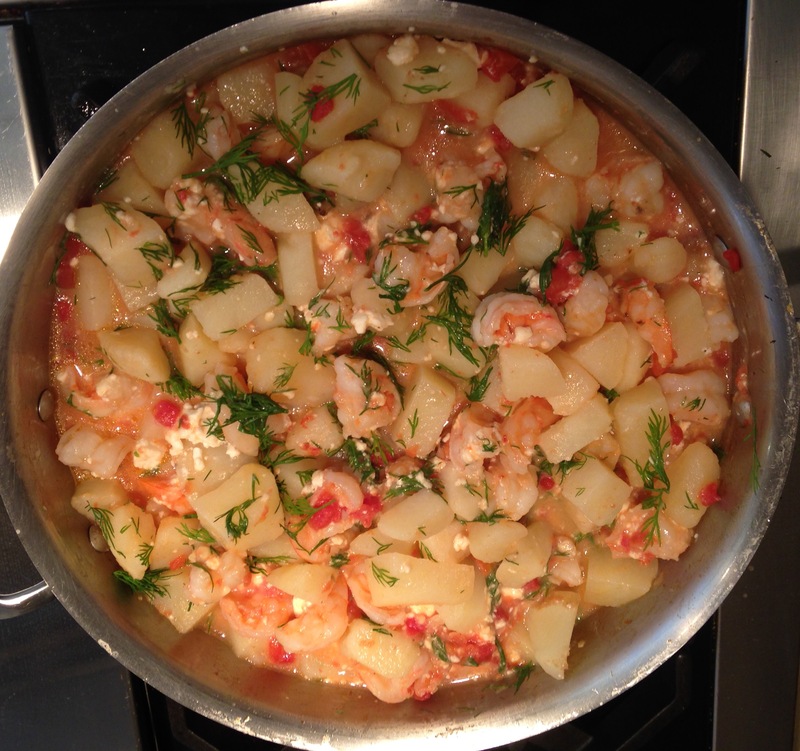 Remove from heat, stir in feta cheese and dill. I BELIEVE IN MIRACLES!…. BRAVA CINDY, I WILL TRY THIS DELIGHTFULL RECIPE VERY SOON. Thank you, Norma. You will not be disappointed – delicious!